Originally from the the U.K. where she studied psychology at both degree and masters levels, Sarah has practiced as a psychologist in private practice since 2014. Prior to this she has worked as a school counsellor, a behavioural clinician for children and adults with intellectual disabilities, and as a teacher for children with special needs. Sarah is a mother to four children (three in their teens). Sarah enjoys working with people of all ages and many different concerns. She has experience assisting clients experiencing Anxiety, panic attacks, phobias and depression; Sleep difficulties; ADHD, conduct disorders, and autism; Parenting, relationship difficulties, family dysfunction and divorce; Loss and grief; Self-harm; Childhood and adult trauma, and PTSD. 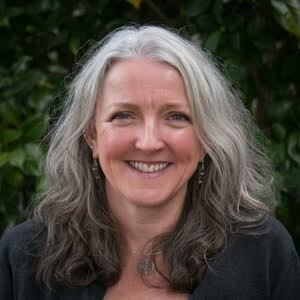 The evidence based theories and techniques that Sarah uses range from Cognitive Behaviour Therapies (Acceptance and Commitment Therapy (ACT), Compassion Focussed Therapy, Exposure Techniques, Mindfulness), Psycho-Education, Emotional Freedom Technique, Relaxation Techniques, Psychobiological Theory, Attachment Theory to Family and Couples Therapy. Her training includes Psychological Registration (Australia), M.A. Psychology of Special Needs (U.K.), B.A. Psychology (U.K.), primary and special needs education (U.K.). Current educational studies include Family Therapy, and Internal Family Systems Therapy. Sarah is an Associate Member of the Australian Psychological Society and member of the Australian Association of Family Therapy. Clients do not need to have a referral in order to attend counselling. Medicare rebates may apply for clients with a Mental Health Treatment Plan.